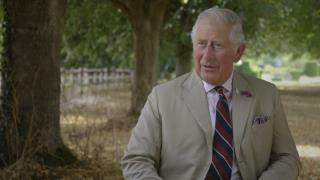 (Newser) – When he's not having servants iron his shoelaces, Prince Charles has been accused of "meddling" into hot topics such as the environment by strongly voicing his opinions—not a typical stance for royals to take in public debates. And he's defiant about it, telling a BBC documentary set to commemorate his 70th birthday next week that "if it's meddling to worry about the inner cities as I did 40 years ago, then … I'm proud of it," the BBC notes. But all that may change the minute he dons the crown as king, because he also tells filmmaker John Bridcut, who's shadowed him for the past year, that it's "nonsense" to expect him to remain as vocal once he takes over the royal top spot from his mother, Queen Elizabeth II. So, why did he have Diana murdered? I wonder if he'll stop dumping bodies all over the palace grounds, or if that's still a go?